You might think that book clubs implies adult level texts, wine and cheese parties or other types of gatherings not suited to the classroom level, but it is easy to bring a book club format into your literature classroom. Literature circles are small, heterogeneous discussion groups led by groups of peers. You, as the teacher, would allow student groups to choose the text they are most interested in reading. All members in a group would work to select the text. Group members then have an allotted amount of time to read the text. Finally, students break into their literature groups and discuss the books they have chosen. The goal of a literature group is to improve student comprehension skills and to help students develop their own abilities to both interpret and to examine a text critically. Because they are working in groups in which they both select the text and run the discussion, they feel a renewed sense of ownership over the project and are more likely to contribute to discussions. This development is directly linked to the Common Core, as it works to establish the following goals set forth by the Common Core. Students who are college and career ready in reading, writing, speaking, listening and language demonstrate independence, build strong content knowledge, respond to the varying demands of audience, task, purpose, and discipline, comprehend as well as critique, value evidence, use technology and digital media strategically and capably, come to understand other perspectives and cultures. 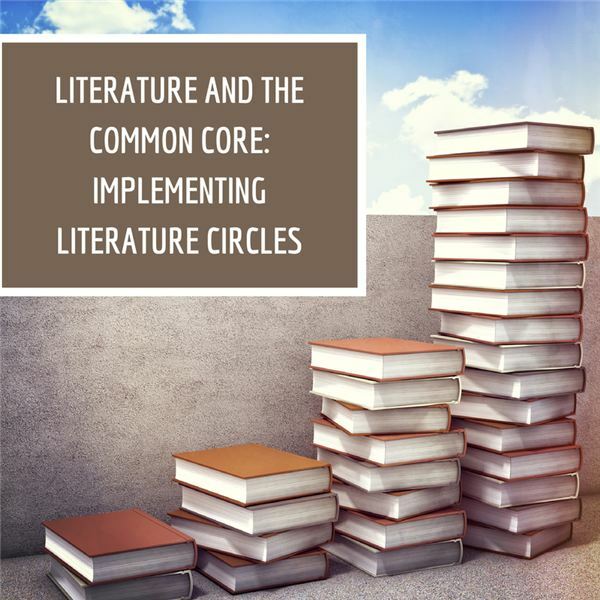 Use the downloadable PowerPoint as a guide to setting up a literature circle in your classroom. Then, browse Bright Hub for some sample texts with discussion questions that you can suggest to students for their first book club selections. You may be impressed with how willingly students rise to the occasion.